You might be surprise with my new look. I mean... my new blogskin, hehe. But I will do a proper intro in future post because I want mainly sharing this fun with you. May is a busy month for me. 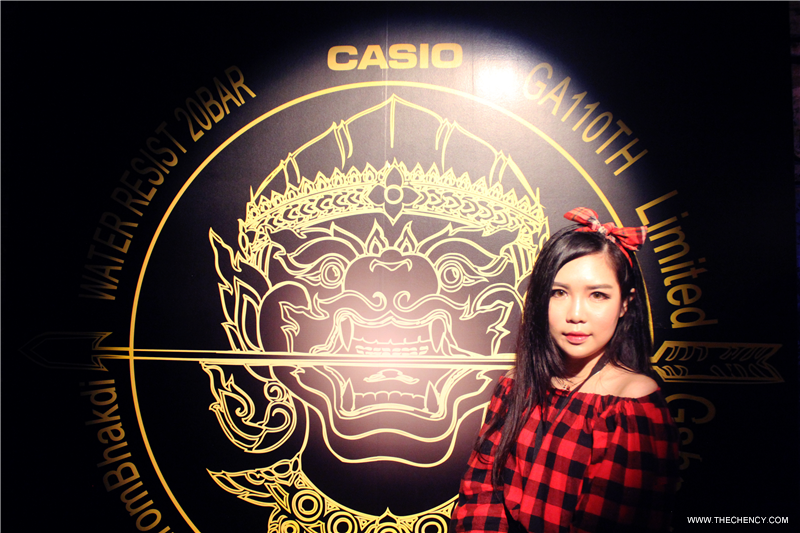 For the first week of May 2015, I was been invited to Bangkok, Thailand to attended the launching party of Casio G-Shock Collector Thailand presented by Todd Piti. 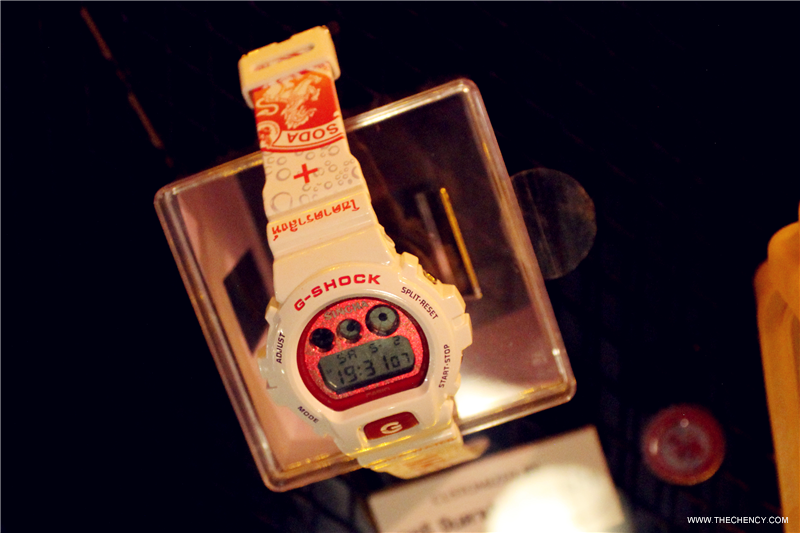 The event was located at Demo Club at Thanglor, Bangkok and the theme of the day is G-Shock's Theme which reminded me of young and colorful, that's the reason you see me try to be young, haha. 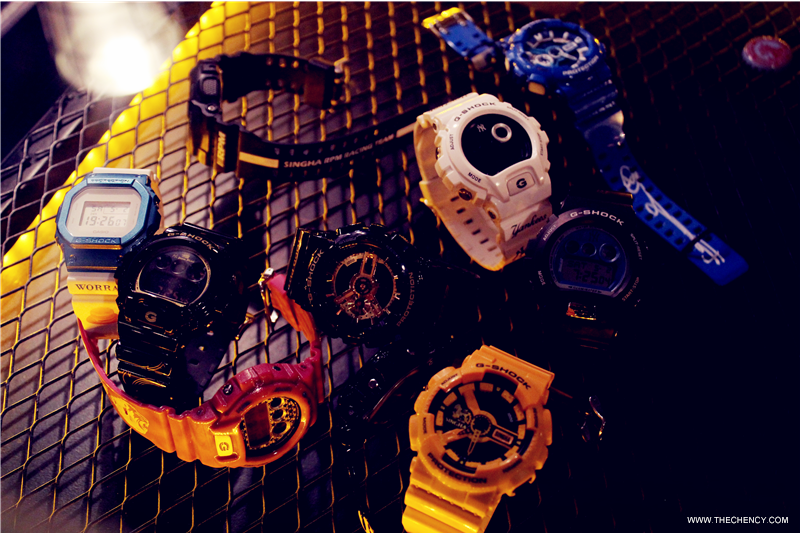 This event is a gathering of people who love G-Shock. 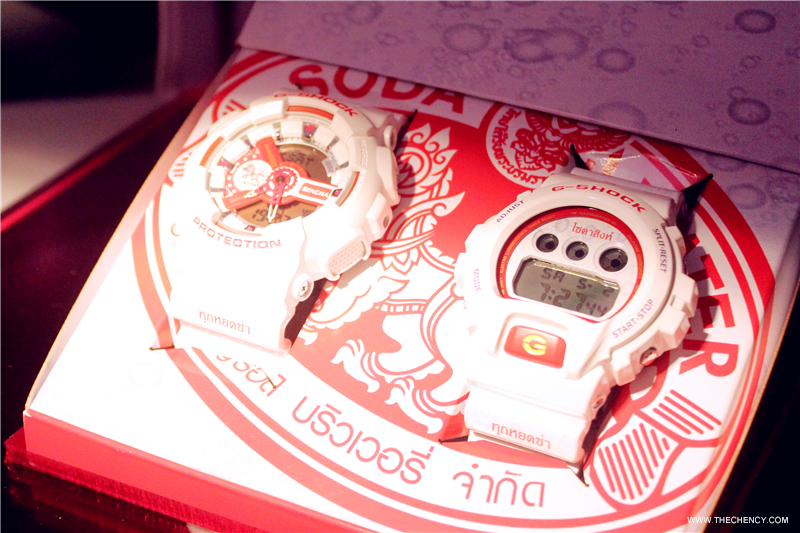 It's can be a social function for Thai G-Shock collectors to have chance to meet and exchange their love towards G-Shock of their preferences. Besides that I am so glad to met Mr.Sjors (George's) from Netherland, the world-class collector who was dubbed the G-Master and Blog Owner of g-peopleland.com and 50-gs.blogspot.com. 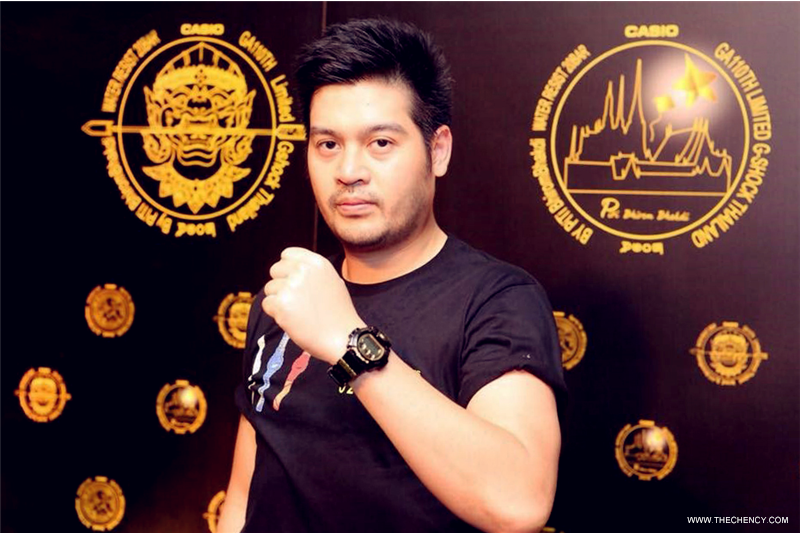 But of course, the main highlight was the launch of G-Shock Special Edition 'Customize Limited G-shock Thailand by Todd Piti' with 3 different designs with only limited 100 set / 300 pieces worldwide. Mr. Piti Bhirom Bhakdi, Managing Director of Boon Rawd Trading Co.,Ltd., Thailand's number one beer producer who producing Singha Beer and Leo Beer. 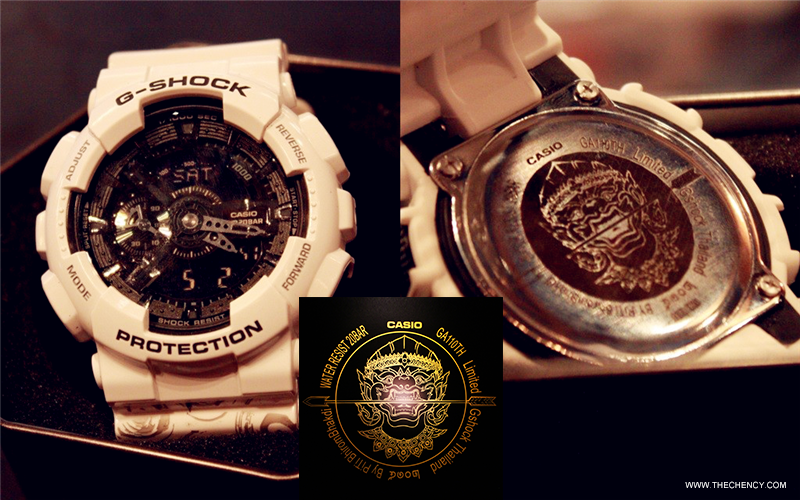 As himself who a big fan of G-Shock since his early age, has been a well-known G-Shock Collector in Thailand. 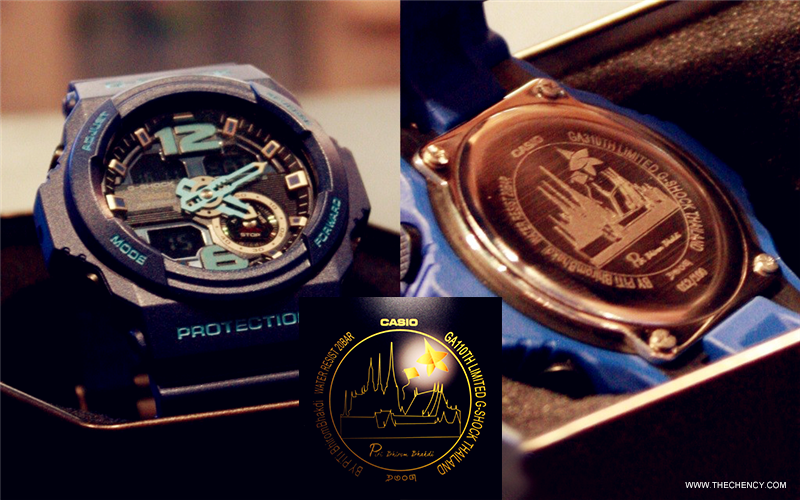 Mr. Piti initiates a project to create a custom-design G-Shock collection for the community to collect. 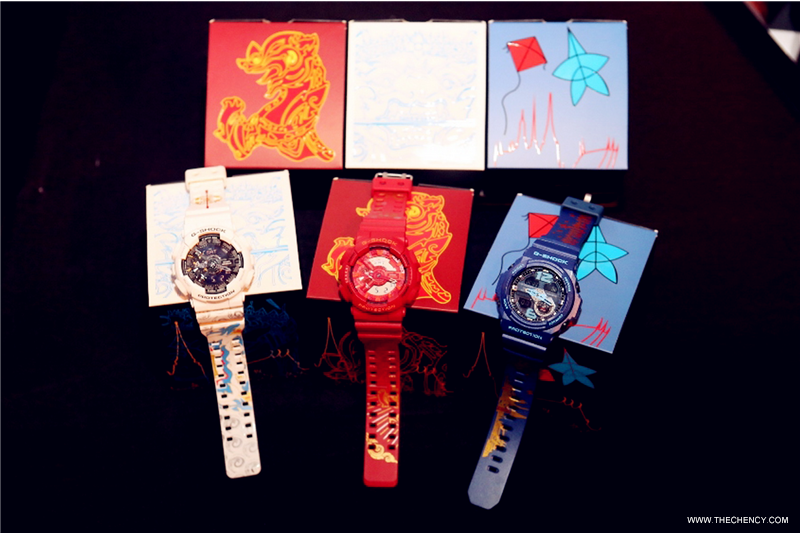 The collection comprises of 3 designs, Hanuman (the Hindu monkey god ), Red Singha (red mythical Lion) and Thai Kite. 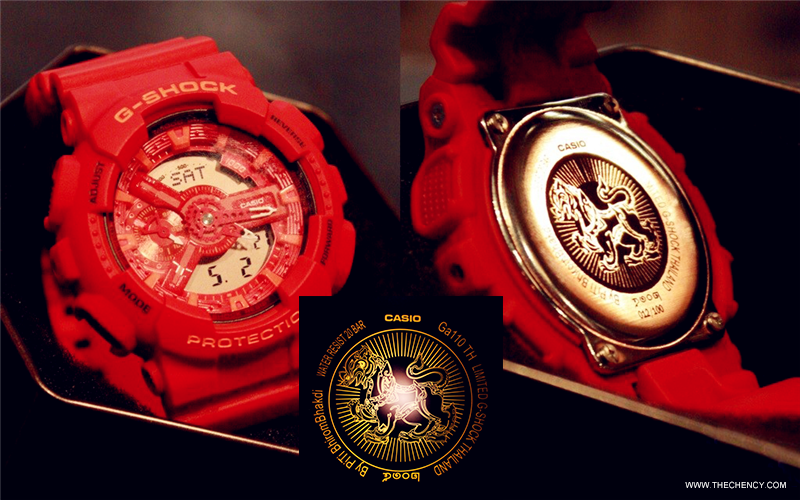 These 3 designs element have been regarded as the company symbol in the past 82 years of establishment. 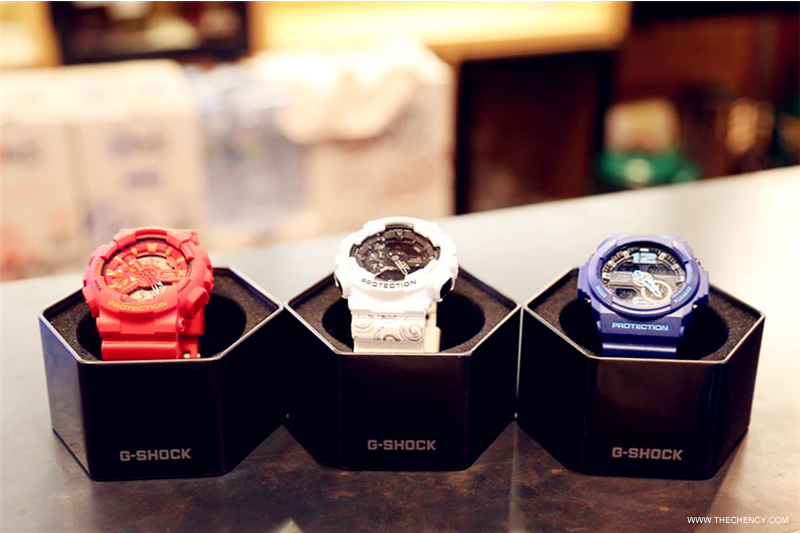 Therefore , these 3 design elements have been received high interests from Thai G-Shock collector. 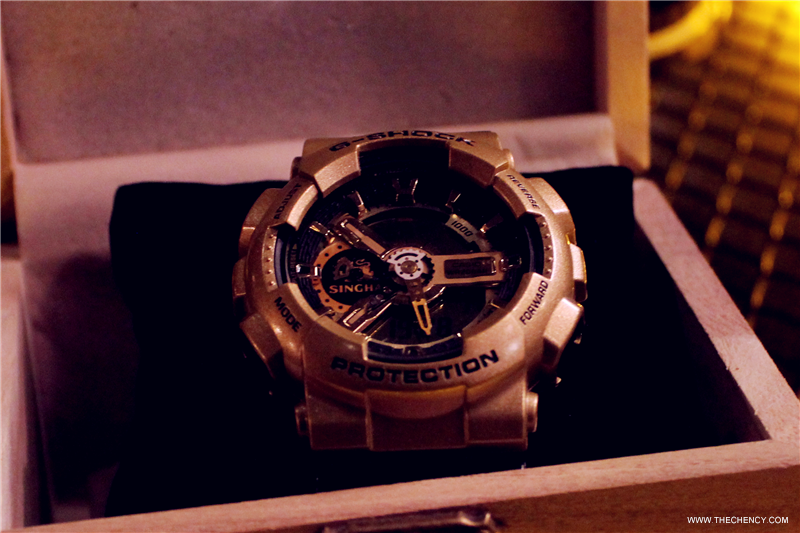 passed down to his descendants as a symbol of success to carry on his legacy into the infinite future. “Hanuman Biting an Arrow” is Boon Rawd Brewery’s corporate seal. Its origin is unknown, but could be contributed to Praya Bhirom Bhakdi’s birth sign. He was born on Sunday 13 October 1872, in the Year of the Monkey according to the Chinese Zodiac Calendar. Hanuman is the God King of the monkeys, and Praya Bhirom Bhakdi could be represented as a soldier of Hanuman’s fighting for the deity Rama in the grand Ramayana Epic. The arrow represents the Memorial Bridge (Phutta Yodfa Bridge), as the bridge’s landscape is shaped like an arrow when seen from above. It represents King Rama VII who built this first bridge to cross the Chao Praya River, who also had a big influence in the setting up of Thailand’s first brewery. With the bridge’s construction, Praya Bhirom Bhakdi foresaw the negative effects it would have on his own ferry business, thus he searched for a new venture. It could be said that with the building of this bridge, Thailand finally got a beer to call its own. 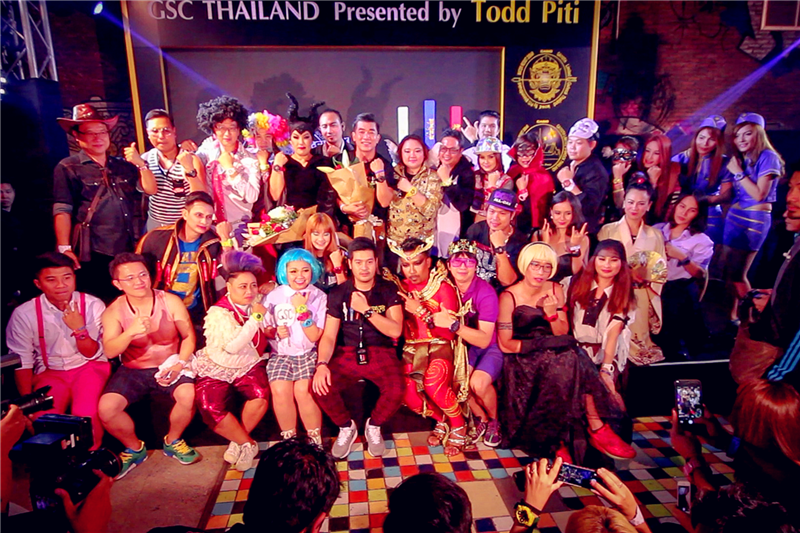 The discovery of Thailand’s first beer brands originated from Praya Bhirom Bhakdi’s organization of a competition to name Thailand’s first beer brands. 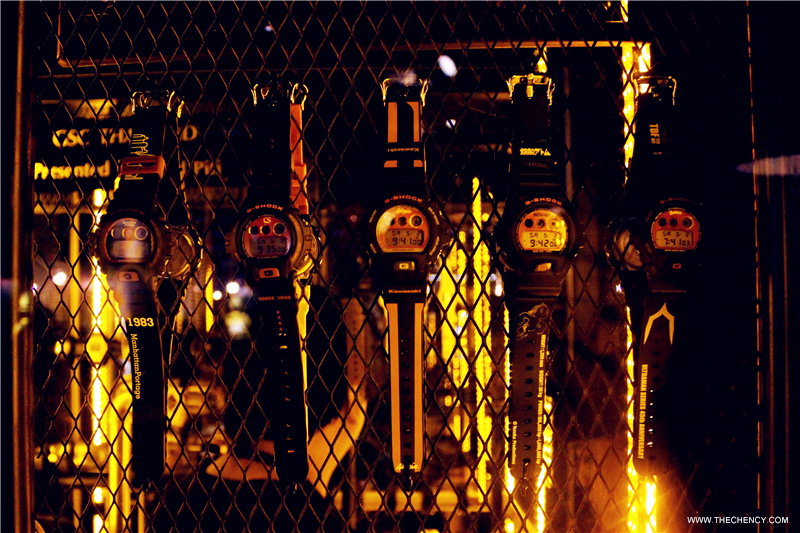 The public attention was overwhelming, with over 2,000 names and label designs submitted. 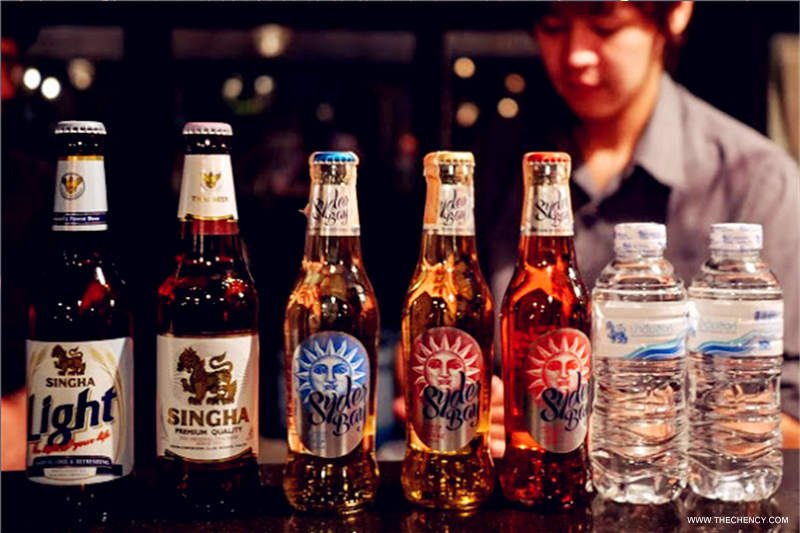 As the result, the first three beers introduced to the Thai public were Singha Beer, Golden Kite Beer, and Mam Beer in 1934. The original red Singha logo was well received by the public, but the color was changed to gold in 1957 when Thailand was surrounded by communist nations. Field Marshal Sarit Thanarat requested the change of color to prevent the Singha logo from having any association with communism, which had red as its theme color. 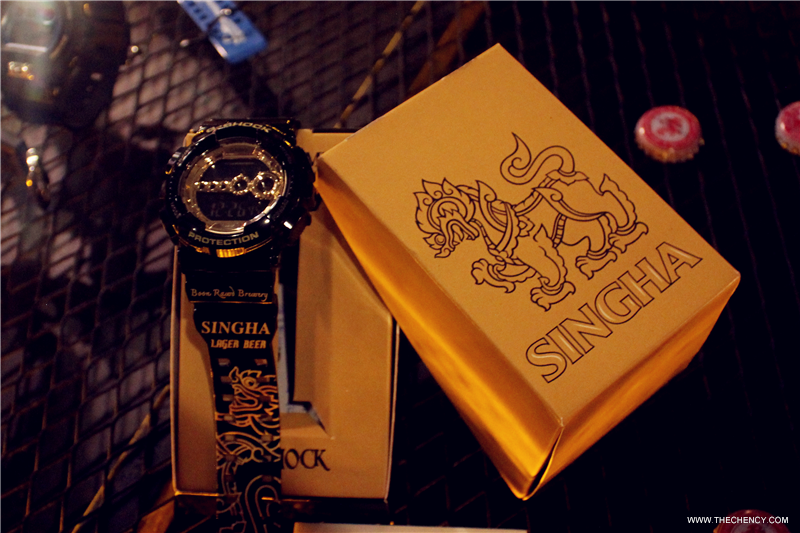 The golden Singha has thus graced the sides of Boon Rawd Brewery’s bottles since then. Praya Bhirom Bhakdi was a kite expert, and was often challenged in many fights, of which he predictably prevailed. His talent and experience was passed down from his father, and they became renowned as an invincible pair. The knowledge of building a kite and flying it to win in competitions have been passed down from generation to generation, even though the sport has lost its place as Thailand’s national sport. In 1921, HRH Prince Damrong Rajanubhab requested Praya Bhirom Bhakdi to publish a book on kite competitions. The book provides a complete guide to kite creation and competitions, a first of its kind. 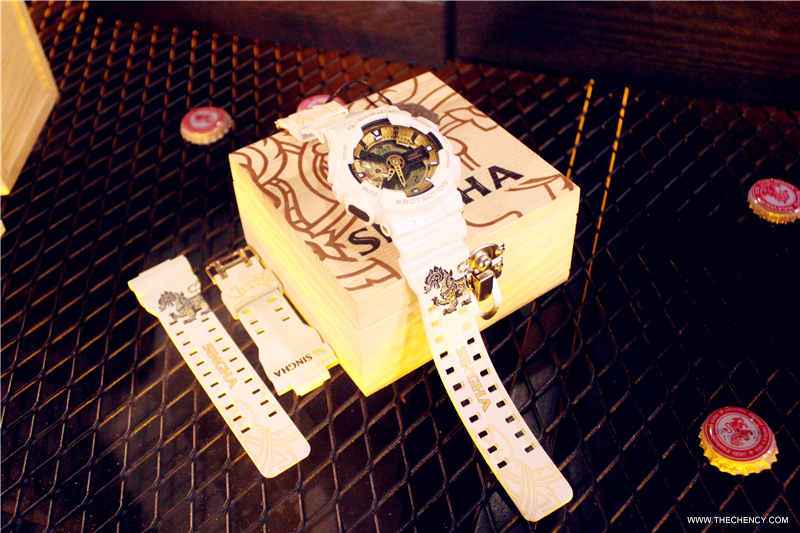 Three designs were very beautiful with striking color. Among all, my favorite will be white color, the Hanuman (the Hindu monkey god). Joy and fun spread throughout the event. 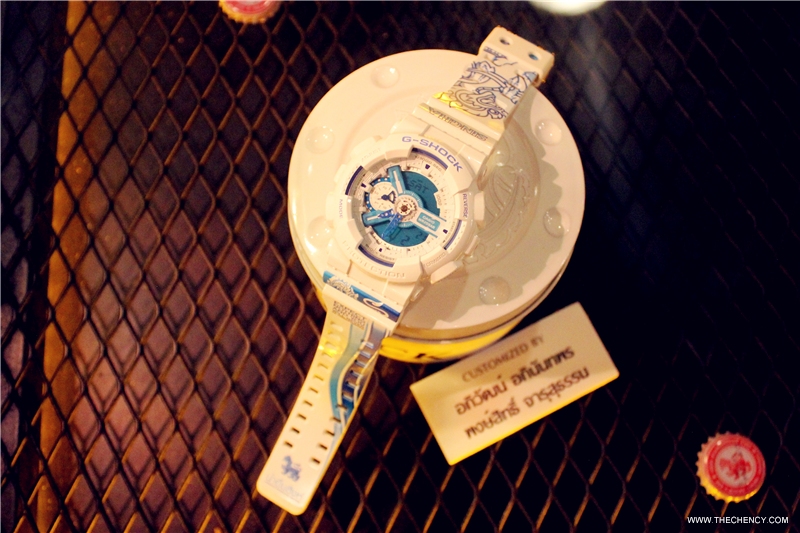 Of course, besides than the launch of 'Customize Limited G-shock Thailand by Todd Piti', it also showed the custom collection of G-Shock watches from other designers as well. 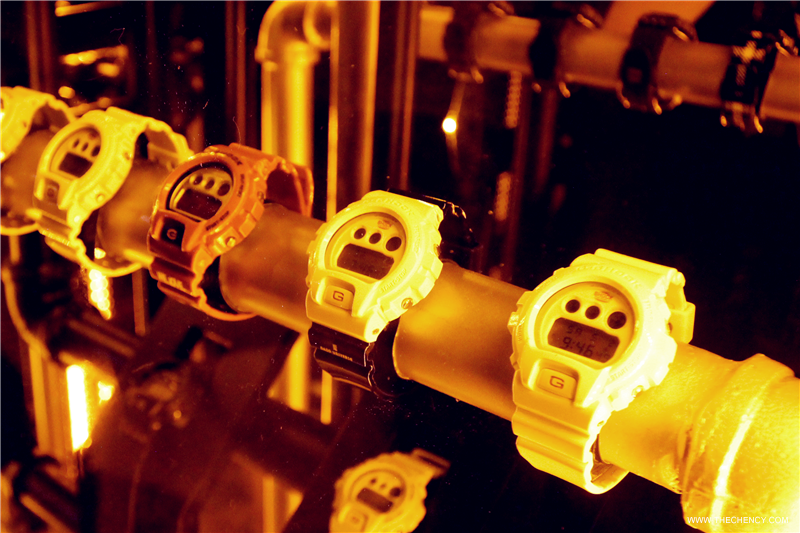 It's an eye-open during the event because there's many cool and fun design watches. 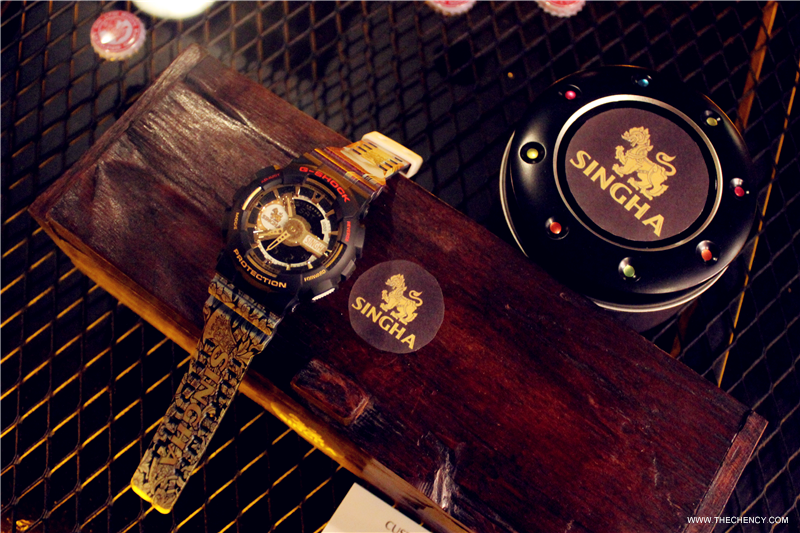 will be fully sponsored by Singha, hehe. 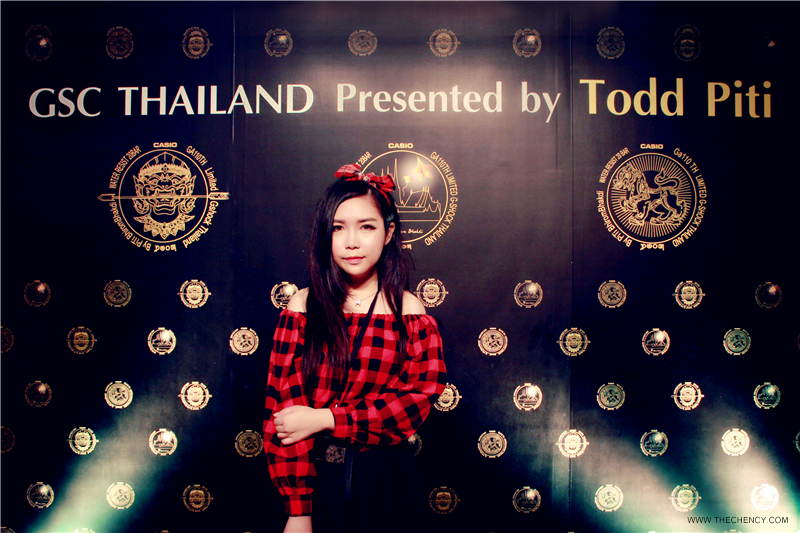 I have tried Singha Syder Bay Jazz (Red berry juice) and it taste so good. For ladies who like mild alcohol drink, try their Syder Bay comes with three different flavor. Although is little warm but having so much fun during that night. Event companies handle all the technical, logistical and creative elements for corporate events in an efficient manner. Their services include corporate holiday party ideas, communication and marketing tools that generate media buzz that will reach countless people at the same time.